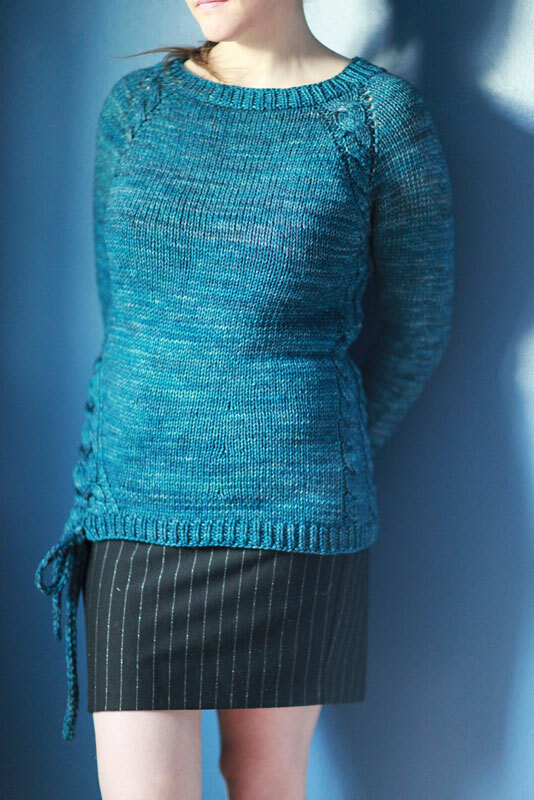 Split ends is a beautiful knit sweater pattern featuring gorgeous cables. Worked from the top down, this design is not only pretty, but straightforward and quick to work up for the intermediate or advanced knitter. The cabled tie feature at the bottom of the sweater adds a fun and unique element! This free sweater knitting pattern features worsted (4) weight yarn and size 5.0mm (US8) 24” circular needles. Sizes Extra Small through Extra Large are included. Thanks to Guest Designer Nataliya Polyakov for contributing to my blog! In Order to Get This Pattern Please Pay With A Share! 1. Head over to Ravelry, add this pattern to your favorites and queue the pattern listing. This is a great way to help designers connect with new customers, and we always super appreciate you taking that extra moment! You’ll find the Ravelry listing here. 2. Share this blog post with your crafty friends. Please use the handy social sharing buttons at the bottom of this post so your crafty friends can take advantage of this free pattern too. 3. Input your name and e-mail address into the form below, and you’ll receive an e-mail from me with the pattern attached within 2 hours. Enjoy! 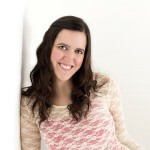 Vist Nataliya’s Ravelry page by clicking here. Is there any other way to get this pattern? I don’t use Ravelry due to religious differences. Thank you…..not only shared but saved in several places as well…..Beautiful sweater!!! Thank you for the beautiful sweater pattern. I am excited to make one. Gorgeous sweater pattern. Thank you so much for sharing this! It’s very beautiful sweater. shared this posting to my knitting friends. Wish there was a crochet version it’s beautiful. Looks great but I am a very basic knitter so not sure I could do this one. Thank you for the offer. I’ve tried twice to get the pattern, first time approx. 6 hrs ago, and still no response. Please send my husband an email at nick@melodys-makings.com and he’ll send the pattern over. Sorry for the trouble! Please just send my husband an email at melody@melodys-makings.com and he’ll send the pattern over. Sorry for the issue! Im not being able to diwnload the pattern for some reason.? Are you getting some sort of error message? 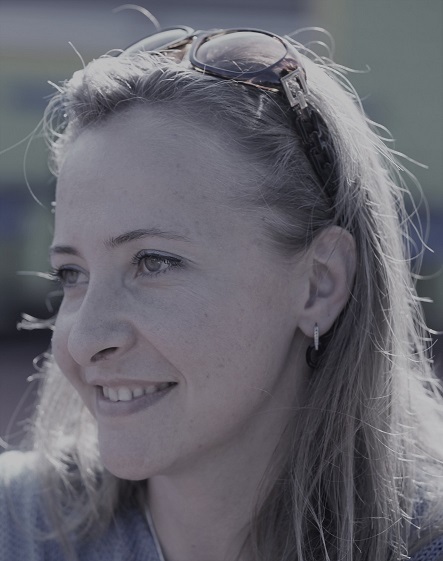 ALL of Nataliya’s designs are wonderful! A truly talented designer. First time visiting your site…if I give you my email and make a request for my info to not be passed on to another party, will it be honored? Thanks so much for sharing this pattern! As usual, it’s a beauty! Lovely! Thank you, very much! Beautiful sweater and, more importantly, the pattern is well done and easy to follow. Wow! Just wow! This sweater is absolutely gorgeous! The fact that you are generous enough to give this beauty for free says a lot about your character. I will do exactly as requested and pay-it-forward! Thank you for spreading joy and creativity one skein at a time!! 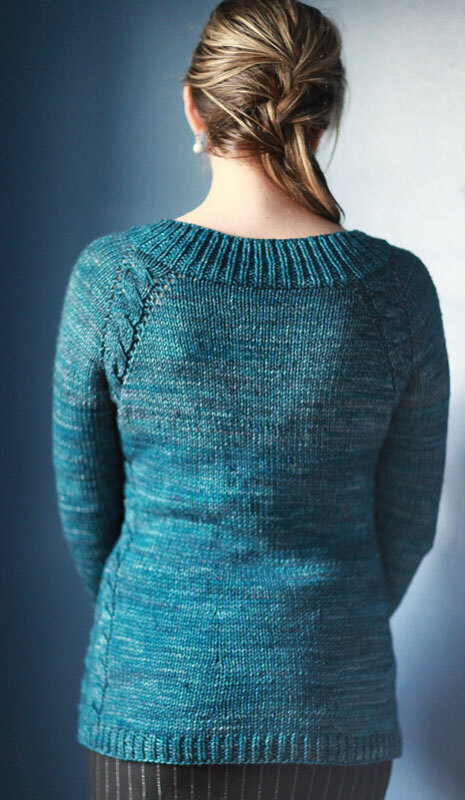 Split Ends is just a gorgeous sweater- I would love to make it for my daughter for Christmas! Hey Maria! Please email us at melody@melodys-makings.com if you still haven’t received your bundle. 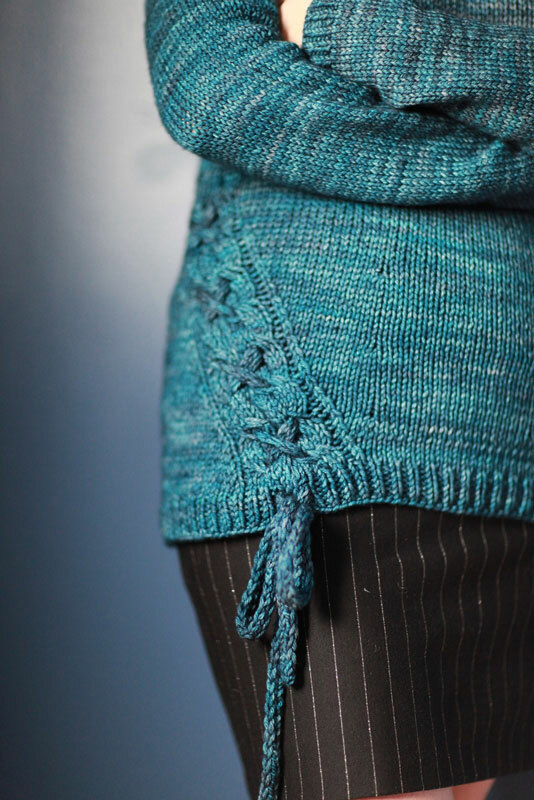 This has been in “My Favorites” on Ravelry for a while now. Love that cable! What a beautiful pattern. Thank you very much . Split ends is a beautiful sweater I would love to make it for my daughter and granddaughter for Christmas.